Ueda Sōko was born in 1563 (Year six of Eiroku Era) and died in 1650 (Year three of Keian Era). In his younger days he took the name Satarō, and later Shigeyasu. He was given the Buddhist name of Sōko and the Zen practitioner’s name of Chikuin by the 111th patriarch of Daitikuji, Shunoku Sōen. In 1585 (Year 13 if Tenshō) he was recruited as a samurai under Toyotomi Hideyoshi and awarded land equivalent of 10,000 koku of rice in Echizen, giving Sōko daimyo status. Sōko was assigned the role of supervisor for the construction of the Daibutsu-den temple for the great Buddha statue at Hōkōji temple in Kyoto. Sōko distinguished himself in war exploits such as in the Kyūshū Campaign, Siege of Odawara, and Hideyoshi’s Korean Campaigns. After many years of proven military valor, in 1594 (Year three of Bunroku Era) Hideyoshi awarded his niece as wife to Sōko. Sōko first learned chanoyu from Rikyu and later became a disciple of Furuta Oribe. Oribe and Sōko together established a distinct style of samurai-class chanoyu. Distinguishing himself with both military exploits and as a tea master, Sōko was held in great esteem by Hideyoshi. Sōko also had much interaction with the most powerful Daimyo of the day, Tokugawa Ieyasu, Tokugawa Hidetada, and Hosogawa Sansai among others. In the Battle of Sekigahara Sōko sided with the Western Army. The Western Army was defeated, and after the battle Sōko was welcomed as an honoured guest of Hachisuka Iemasa (1558 - 1639) the daimyo of Awa Province. 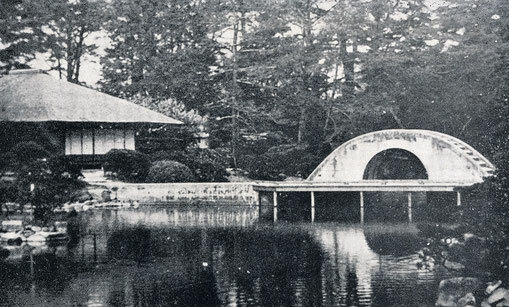 Sōko instructed chanoyu and built gardens and tearooms while in Awa Provice. After three years living in Tokushima, Sōko was solicited by Asano Yoshinaga to join his clan ruling Kishū Province. Upon assuming his new post, Sōko was awarded a large fief of 10,000 koku of rice by Yoshinaga. In 1619 (Year five of Ganwa Era) the Tokogawa Shogunate assigned the Geishū Domain to Asano Nagaakira and Sōko relocated to Hiroshima with Nagaakira. Sōko was again granted a fief of 10,000 koku of rice in west Hiroshima (present day Hatsukaiichi and Ōtake). Later he was granted 17,000 koku in total and assumed the status of Chief Retainer of the domain under Asano. In 1632 (Year nine of Kanei Era) at the age of 70, Sōko retired from military affairs and devoted himself to the Way of Tea. He immersed himself in a life of crafting tea equipage such as bamboo flower vases, chashaku tea scoops and firing raku ware tea bowls. 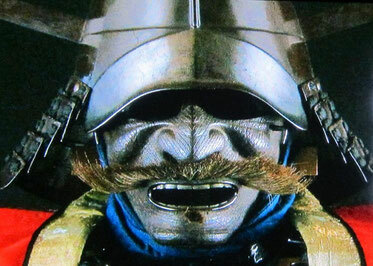 Sōko’s true character was that of a battle-hardened warlord who always contested from the front line. At the same time he clearly had a unique gift as an artist, and these two characteristics came together to create a truly unique style of chanoyu. In Sōko’s biography, the ‘Sōko Ōden’ is written: ‘Ueda Sōko had a taste for equipage with a beauty of strength and elegance’. In the works of Sōko still remaining today such as tea bowls, tea scoops, flower vases, tearooms and gardens is a distinct aesthetic reflecting the relentless Warring States era of Momoyama Period Japan. One can feel the heroic spirit of a warlord who has lived through a lifetime of war. Yet one is also struck by the fine detail of his works and an undeniable sense of Sōko’s unbridled creativity. Ueda Sōko had an exceptional ability for constructing castles, gardens, and designing tea houses. Many of his works remain today. Hiroshima - Shukkeien (Designated National Place of Scenic Beauty) Built as a the second residence, also called the ‘lake residence’, of Lord Asano - the Daimyo of the Geishū and Hiroshima domain. 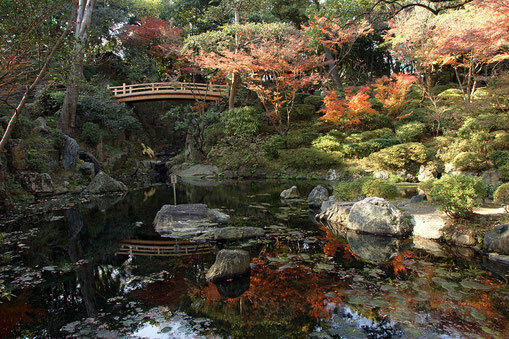 This garden is representative of a walk-around style early Edo Period daimyo garden. Hōkōji, Kyoto - Hideyoshi assigned Sōko as supervisor of the construction of the Daibutsuden (temple housing an large icon of the Buddha) at Hōkōji Temple. Garden of the Hachisuka Family on the grounds of Tokushima Castle. 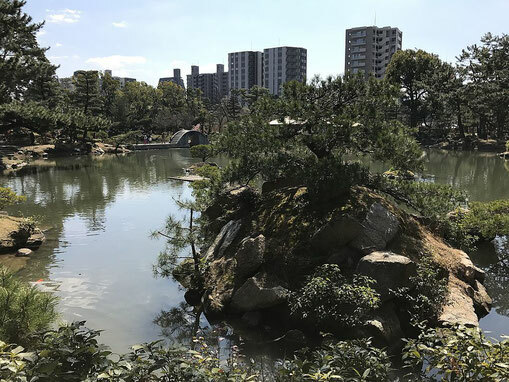 This garden is famous as a garden representative of the Momoyama Period. Sōko was assigned to the reconstruction of Wakayama Castle and the design and construction of the Nisinomaru Garden. Designed and built under order from Tokugawa Ieyasu in 1614 (First year of Ganwa Era). 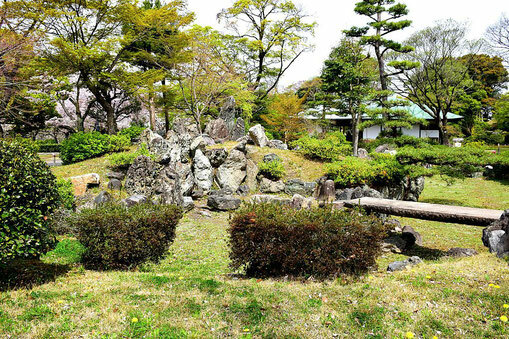 This garden personifies the spirit of Momoyama Period warlords. Sōko constructed a second ‘Wafūdō’ tea house complex on the main residence of the Ueda family on the grounds of Hiroshima Castle. This Wafūdō reflected the original Wafūdō built in Kishū Province. The Hiroshima Wafūdō included a sukiya tearoom called Enshō, a Kusari no Ma tearoom called 'Kenkei' and the training complex 'Ankantei'. As part of the construction Sōko planted a pine at the summit of Shijōyama mountain. The pine is known as'Sōko Matsu' (Soko's Pine) and the mountain is also known as 'Sōkoyama' (Mount Sōko). Gifted by Sōko to warlord and feudal lord of Iwakini Kikkawa Hiroie as a return gift for a weeping cherry blossom tree. The standing purification basin still exists beside Hiroie's grave.